Barbara Kellar hosts SHOWCASE with Barbara Kellar, an arts and cultural series airing on CET Arts and CET beginning June 17th. The weekly series, produced by CET, will highlight cultural luminaries, Cincinnati celebrities, the most important artists, and great performances. Each week enjoy in-depth interviews with the people who make this city move. Don’t miss sitting down with the Queen City’s cultural leaders and find out what’s happening around you. The series will offer unprecedented behind-the-scenes access to art organizations in Greater Cincinnati. CET Arts is available over-the-air on channel 48.3, on Spectrum channel 987, on Cincinnati Bell Fiberoptics channel 297 and on Insight Cable channel 192. For more information, visit www.CETconnect.org/cet-arts/. CETHD is available over-the-air on channel 48.1, on Spectrum channel 1013, on Cincinnati Bell Fiberoptics channel 13 and on Insight Cable channel 916. The Holocaust & Humanity Center exists to ensure the lessons of the Holocaust inspire action today. On this episode, Barbara sits down with Executive Director Sarah Weiss and conceptual designer Eddie Jacobs to discuss the museums new home at Union Terminal at Cincinnati Museum Center. Then stick around for an important conversation with Sandy Kaltman—the child of two holocaust survivors. Larry Sheakley’s original passion was helping small and medium businesses reach their potential. Today, in addition to his leadership role in business, Mr. Sheakley has found additional inspiration through his work with Lighthouse Youth Services and the Sheakley Boys and Girls Club--two organizations he is intimately involved with. 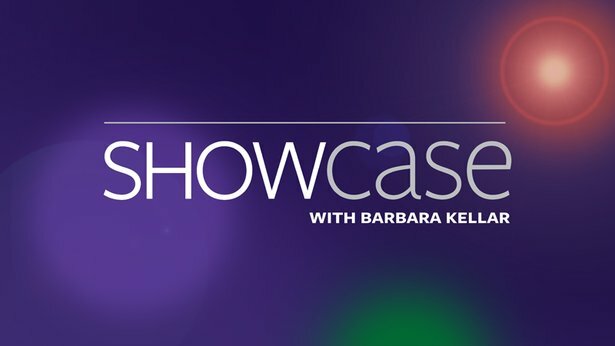 Don't miss Mr. Sheakley's interview on this episode of Showcase. Barbara Weeks Kellar has served Cincinnati as a volunteer for more than 44 years – dedicated to serving the arts, youth and education. She hosts public television's SHOWCASE with Barbara Kellar on CET Arts, which features interviews on behalf of the arts community. Mrs. Kellar's involvement with CET began in 1967 when she participated in the first Action Auction. She was one of the first Auction volunteers and has been a volunteer ever since, serving as honorary chair of the 30th Anniversary Action Auction. She was instrumental in organizing the Auction Week Committee. And served on the Auction Executive Committee, as Auction Week Chairperson, as Connoisseur chairperson, and as a volunteer solicitor. 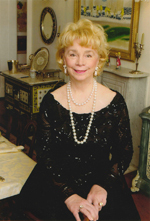 Mrs. Kellar has served in key roles with CET where she has won numerous awards including the President’s Award, a key to the City of Cincinnati, the Ohio Broadcasting Award for Development, the National Award for Excellence in Public Television Leadership and was honored at a 2010 Gala for her over 44 years of service to CET. CET's annual "Barbara Kellar Award" is presented to volunteers who are dedicated to CET's mission to educate, enrich and engage.